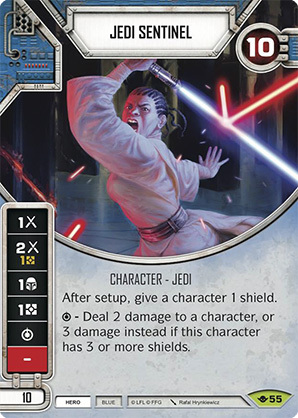 Personaje - Jedi. Puntos: 10. Vida: 10. After setup, give a character 1 shield. - Deal 2 damage to a character, or 3 damage instead if this character has 3 or more shields. Way of the Force #55.